2.Grease a muffin pan with coconut oil. 3.Put all ingredients into a medium sized bowl and mix with immersion blender or whisk until well mixed. 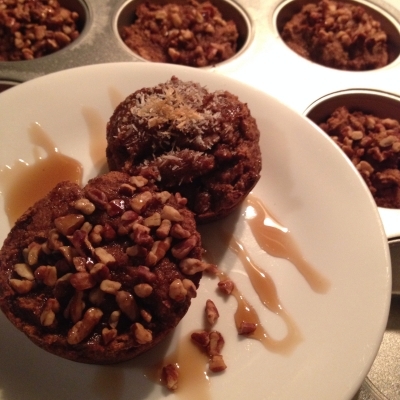 5.Use â…“ cup measure to spoon into muffin tins. 6.Bake 12-15 minutes until starting to brown and not soft when lightly touched on the top.